We’re still hoping to do a Tall Tale radio project for some of us stragglers on the open range of #Western106 but, as Alan Levine noted, since we are A Course with No Course, there’s no time rush on it. Still, I was listening to a Tall Tale the other day, and thinking of the narrative arc that such a story of hyperbole often follows. 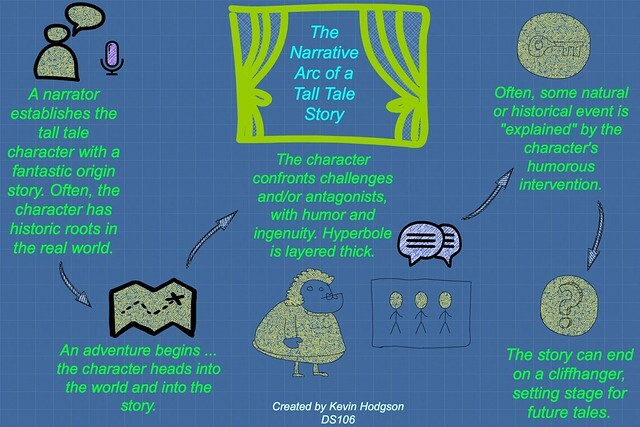 The diagram above is my attempt to make sense of the story form, knowing that not every Tall Tale follows this pattern. If you want to join in on the collaborative Tall Tale story venture we aim to cook up, add your name to this open document. We’re going to keep entry point low and simple, but hope to have fun spinning a tale or two around the campfire. Head to Tellin’ Tales (a working title for now) to get involved. We’ll be in touch. The other day, I shared out the song that I wrote and recorded as part of inquiry with #Western106 open storytelling adventure. 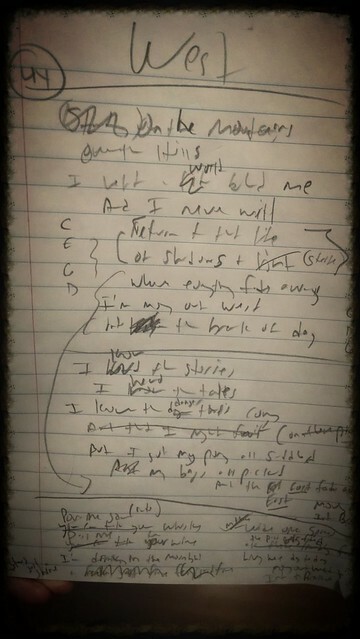 I thought it might be interesting to share out my notebook page, showing the scribbles as the song took shape. I can read it. Can you? (I did a little filtering in Flickr, to spice up the image). This is pretty typical for me, crossing out words and using arrows to show where things might go. I’m working out structure with my pencil as I play the guitar and sing. 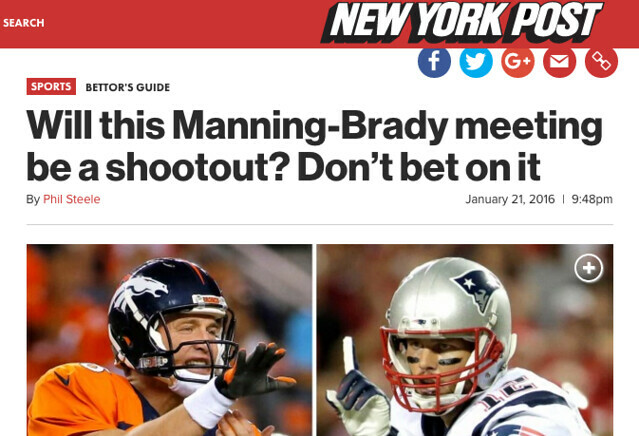 The meeting between Patriots (Tom Brady) and Broncos (Peyton Manning) was a “showdown” or predicated to be a “shoot-out” (it wasn’t) between the two great athletes. Reading the sports page these days under the lens of the #Western106 reminds us how the National Football League has co-opted the violent language of the Wild West for entertainment value. Just think of some of the team names: Cowboys, Broncos, and more. Even when team owners meet, the media uses the Wild West as its central anchor point. 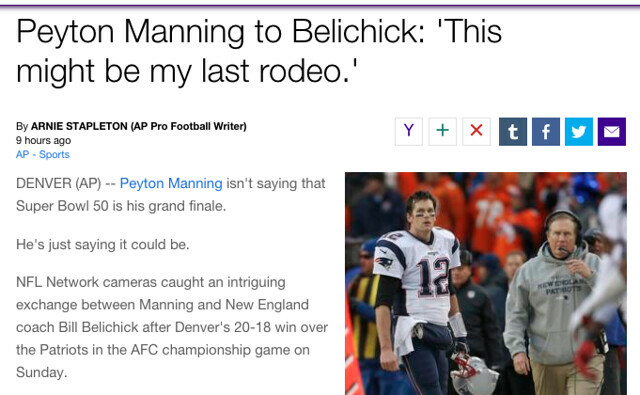 I get why this language has seeped into the culture of the National Football League. It is a violent sport, and the violence is part of the entertainment value. By connecting the language and rhetoric of the Wild West to the NFL, the media and NFL support a narrative, particularly that of the Lone Quarterback who leads his team/town to Victory over the Enemy in a time of great need. It’s Clint on the football field. Or Shane. Or …. 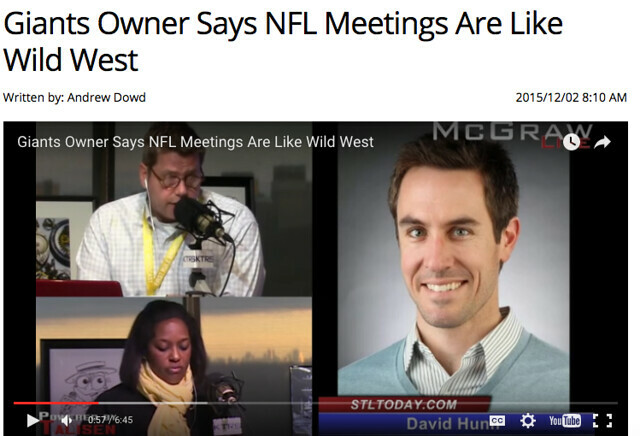 (insert hero) The language creates a story that people can connect with, and that the NFL can “sell” as a brand to its audience and the world. I get it, but I remain fascinated by it, and worried about the violent nature of the rhetoric, too, and I know I will be more attuned to it now. 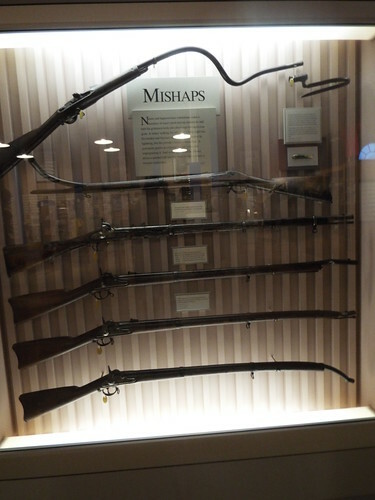 I helped co-write an article over at Middleweb about the development of a summer youth program through our Western Massachusetts Writing Project that explored a relatively unknown resource in our backyard: the Springfield Armory. The summer camp brought middle school students from urban Springfield into the only National Park site in our region, and it is quite an eyeful to walk in and see walls and walls of guns and munitions, let me tell you. The Organ of Muskets will make you pause, I guarantee it. The article provides resources for connecting with local National Park sites. The camp was funded through a grant by the National Writing Project and the National Park Service. My role was as a documentarian, not a leader of the youth program. With all the inquiry of the symbolic meaning of “The West” in our #Western106 open course, I started to wonder if I could write a song that might capture the essence of moving West. I struggled with the writing of a song, though. I am no Western singer, so I began to rethink the narrative. Maybe the narrator is giving up on the East and heading West, and maybe the time period is rather elusive. It could be set today, or yesterday, or years ago. The phrase “Everything is West of Here” began to settle into my mind, and as I heard the drum track — the loping, clip-clopping rhythm — I found the heart of the song, particularly when the chorus of “I’m moving out West, into the break of day” arrived on my paper in my handwritten scrabble (I guess I wrote it, right?) 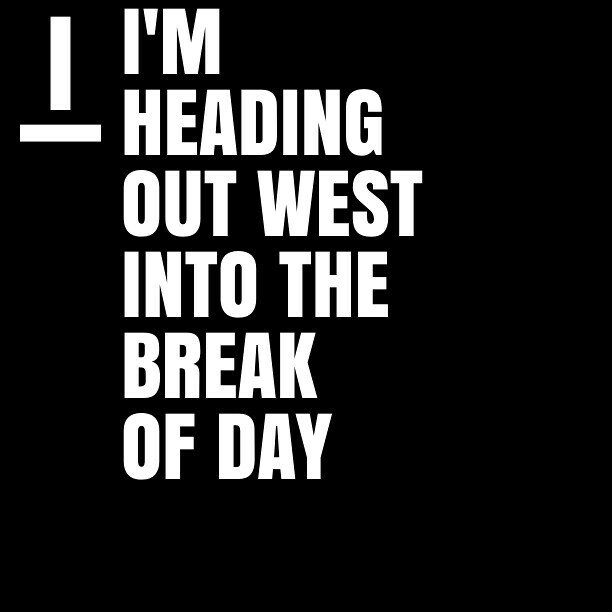 A variation is “I’m heading out West” in the second verse. So, this song is about leaving a life behind and moving West to start anew, with all the struggles and hardship both the leaving and renewal will bring. And hope, too. There’s hope on that pony as our rider head up over the mountains. This is one of the slowest songs I have written. My bandmates often chide me for bringing in songs that I write that fall under the 3 minute mark. “Give it another chorus” or “Where’s the break” or “Write another verse” — this is what they tell me. I don’t often listen to them (they know this). I’m from the Elvis Costello School of Songwriting: Say it under three minutes, or risk boredom or repetition. But I kept myself patient here, letting the horse amble its way forward towards the last verse in this one. I recorded the song first a scratch demo on the day I wrote it, but it sounded awful. (I’m no singer, so that doesn’t help). I then found time to use Soundtrap (my fav recording platform right now) to re-record, adding the drums, and then using some synth sounds to capture the twangy guitar chords and the slide-guitar-ish lead. I was trying to use some of the tropes of Western songs to give mine the same feel, even if it isn’t really a Western song. A bunch of us teachers wandered down the hallway. After a long Monday of teaching (on the heels of a disappointing loss by the New England Patriots that seemed to cast a solemn glow on all of the classes), and then an even longer afternoon of a staff meeting, our working day was nearing an end. Many of us were checking our phones for messages from home or maybe glancing at a cat video to transition away from work. We stepped out through the door towards the parking lot of our school and paused. All of us. Just stopped. Phones were put away, or at least, feigned towards pockets. 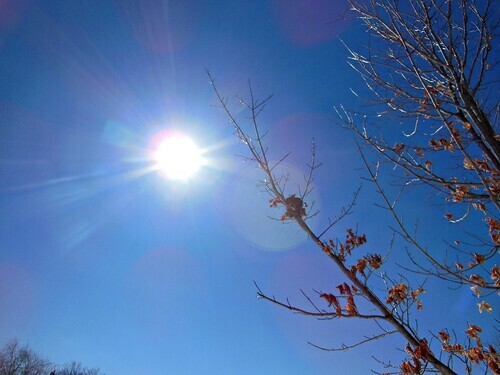 The sun was shining, although the soft wind still had a winter bite to it. Faces turned upward. We all just stood there, a small group in silence, nodding. “I guess Spring will be coming,” another added, and we all gave quiet thanks that the storm that walloped the East Coast not far south of us had deemed us an area not worth visiting. None of us wanted to acknowledge that it is still only January, and New England weather has a way of making its presence known right through April some years. “I guess so,” I said, and smiled, and then we all wandered off to our cars, making our individual ways back home after a short communal gathering in observation of the changing nature of Nature. I’m past 20 now. 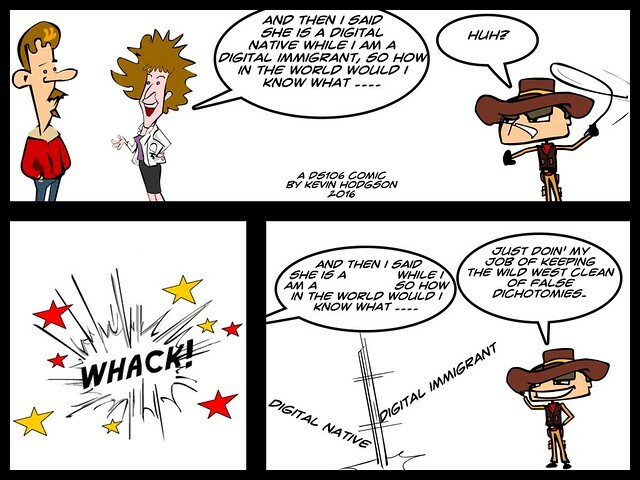 Twenty-odd daily comics for The Wild West Adventures of the Internet Kid, an idea that was sparked by my participation in the open Western106 story adventure. I thought I would take a breather here to reflect on how it’s going for me, the writer (I make an appearance now and then in the comic, usually for criticism for not writing better comics or not paying attention to equity issues. Guilty as charged!). So far, so good with my idea of a daily comic, although I have very little idea if anyone is reading them. A few comments and reactions trickle in now and then. I’m still more focused on the question for myself: Am I having fun making the comics? I am and so, I keep on going forward. In fact, I have at least another 15 comics in the bank, set to go forth, including one story arc that will invite readers to play a game. I also have an ending comic, for when I get there. The way I have been writing them is in bursts. 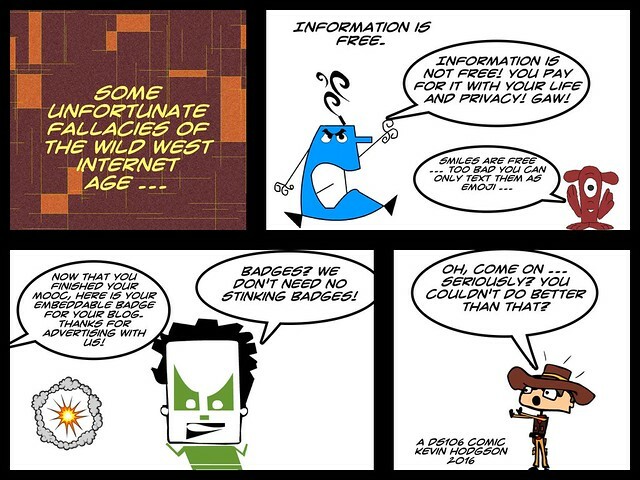 In fact, the first weekend when I had the idea for the Internet Kid, I had a deluge of comic making. I cranked out about 15 of them in a three-day weekend, just keeping up with the ideas. I won’t claim that every comic every day is great, but I hope they add a little entertainment chuckle value for folks now and then. 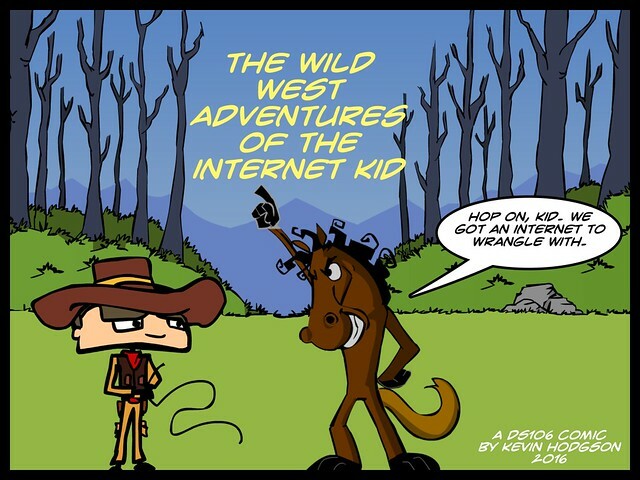 What I am really trying to with The Wild West Adventures of the Internet Kid is to combine some of the elements of the Western genre (the cowboy, the horse, the villain) with some insights into the modern culture of technology. It’s trickier than it seems to pull that off in an entertaining way. I am often trying to make fun at the stereotypes of gender, making the so-called villain — Anarchist Annie — an interesting character, or so I hope. Her goal is to poke holes in the bias of our world. Sometimes, she blows things up to make her point crystal clear. In fact, a few of the storylines and comics are pulled directly from my reading of Participatory Culture in a Networked Era, a slow-read in the Digital Writing Month community. If you have read that book (and you should), and if you read The Internet Kid (which, of course, I hope you do), you will start to see some parallels of ideas around technology and learning and young people’s interactions in the Digital Age that surfaced there in that study of participatory culture by Henry Jenkins, Mimi Ito and danah boyd, and then got woven here into this comic. I am purposefully posting the comics in different places — on Twitter with the #western106 hashtag, in Flickr in an album, and on a Tumblr site that I set up just for the comics (it turns out Tumblr is a perfect space for daily comics). Sometimes, I share on Google Plus. I also have the feed of the Tumblr site spilling into the DS106 course. I wonder if anyone else other than me uses an RSS Reader to peruse the posts going there and make comments? Can I just give a shout-out to my favorite character in my comic? The Horse with No Name just cracks me up. I hadn’t even thought of a horse until I had the Kid in mind, and then .. of course he needed a horse. The Kid is a cowboy. But not just any horse. The Horse with No Name (cue: America song) has his own personality. He refuses to let The Kid ride him and the Horse even negotiates an agreement with the Kid on this matter (The Kid agrees but worries what other cowboys will think of him). Yet, the Horse with No Name remains a funny and insightful sidekick to The Kid. I think, as the writer, I am the Horse with No Name more than I am The Internet Kid. (Maybe I have some Anarchist Annie in me, too.) 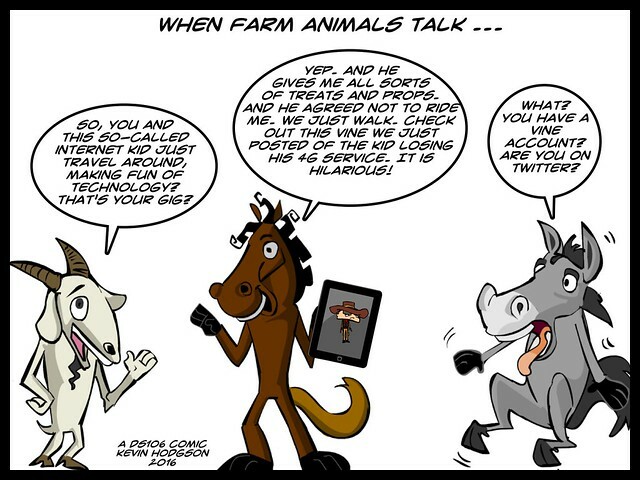 This particular comic of the animals having a farmyard chat about The Kid, in particular, still makes me giggle. I love how the Horse has the tablet and the image of The Kid on it. Look at The Kid’s posture and expression. Priceless. We know who is really in charge of their partnership. You know those moments when serendipity hits? 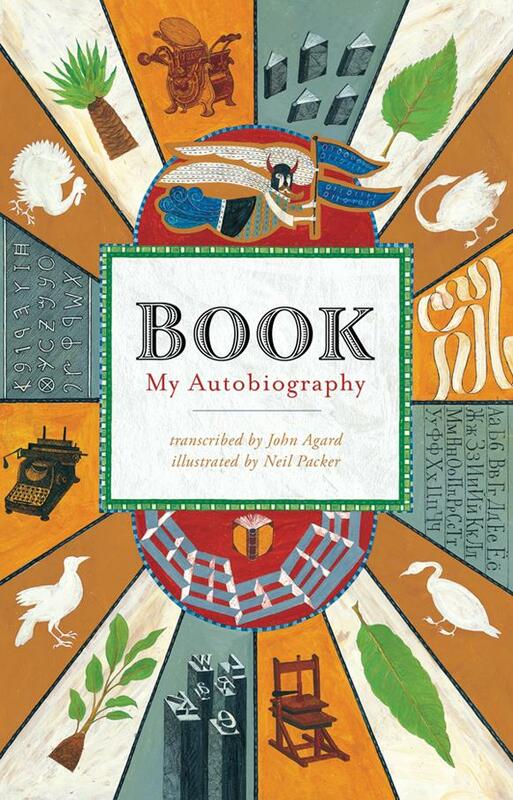 I had one of those moments yesterday, as I brought my son to the library and stumbled, just as I was thinking of creative non-fiction that would make sense in my classroom, on Book: My Autobiography by John Agard (illustrations by Neil Packer). There the book was, just sitting on a bookcase, with the word “Book” facing me. I picked it up and was immediately lost in the story. Took it home. Kept on reading. Kept on thinking. And from there, it moves briskly through ancient times of writing across cultures, through the refinement of paper, to moveable type to the Age of eBooks. The voice is poetic, and funny, with enough research behind the story of Book to provide multiple in-roads for discussions about various cultural advancements (Egypt, China, India, Sumar, etc.). The text is also complimented with rich illustrations and a handful of poems about reading and writing and books as physical objective manifested with imagination. Book is my kind of book. As I was reading, I was remembering an old unit I used to do around the printing press and newspapers (it was a Student Teacher project). I had this activity where students created their own moveable press device for printing text. And as I read further, I could see timeline constructions, argumentative writing, and mapping activities and more as I read this story. Mapping the changes of how we write and how we read … that’s a perfect text for the kinds of discussions we have in our classroom on a regular basis, to be honest. As it happens, this year’s class parents are asking about how they can give a “gift” to our grade from fundraising money they have, and they wondered if a book set might be possible … so I see this as one possibility. (Cost might be prohibitive, though, as it is only in hardcover right now). I went into Storybird, a picture book story-making site with an interesting art/writing twist, thinking I was going to start writing an original Tall Tale. Instead, I came away with this story that is definitely not a Tall Tale. I went with the Muse. This one is informed by my reading, listening and watching of Western narratives — of the incursion of White Settlers on traditional American Indian lands, and the great and devastating Changes that would happen. That did happen. That are still happening. What came out was this story entitled The Elk of the Stars. I suspect my story has stereotypes and pillars of the Western genre, but I hope it comes across as a heartfelt ode to remembering the power of Stories to heal and to help the Earth. I know Stories are not enough. But they are something. Storybird is a site that allows you to write stories, by using professional illustrators’ work. It’s an interesting process because you call up art based on keywords or artists, and then build a story around the images you have available (not the other way around … traditionally, you would write a story and then make images to go with the narrative). 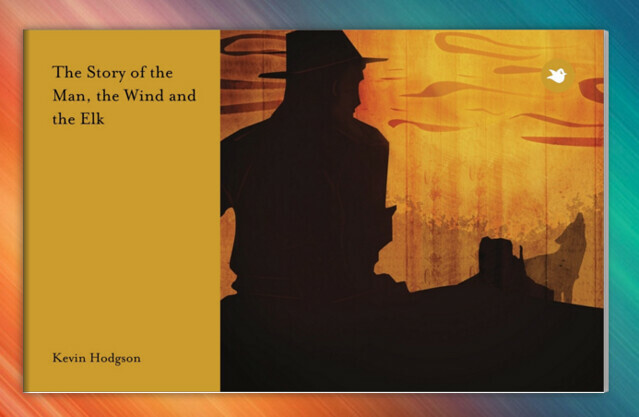 So, I took time to absorb the artwork before beginning the story after searching “West” as my keyword. I like how it came out, so much so that I paid a few bucks to get a download of the picture book to save (and share). I later moved the PDF over to a Flipbook creator for better sharing but you really have to use full-screen mode to get the flavor. Or you can read it over at Storybird. I’m not sure how Jeff Kinney taps into the experience of my kids, but every Wimpy Kid book seems to have done it. With his latest, Diary of a Wimpy Kid: Old School, Kinney touches on a push to pull back on technology in our lives in order to reconnect with family and community (which Greg Hefley, our protagonist, has qualms about, in a funny way) and a school trip to a week-long outdoor camp adventure (with very funny results and a new connect with dad). So, we just had a discussion about lessening our technology in our home AND my youngest son — still a fan of Wimpy Kid books and Jeff Kinney — just came back from a week-long school trip … to an outdoor camp adventure facility. So, yes, it would be nice to see them choosing deeper stories with larger themes. But to see them reading? That’s a deep “thank you” to Jeff Kinney. One step at a time. My job is to keep moving them forward from that book to this book to that book to this book. And if we can laugh along the way, I’m all for that.